Been using High Potency Biotin since last October 2012. Nails grow like crazy hair is thicker ans my crows feet around eyes are gone. Im 59 years old and my niece commented to me how shiny and smooth my skin looks. Gotta love it! 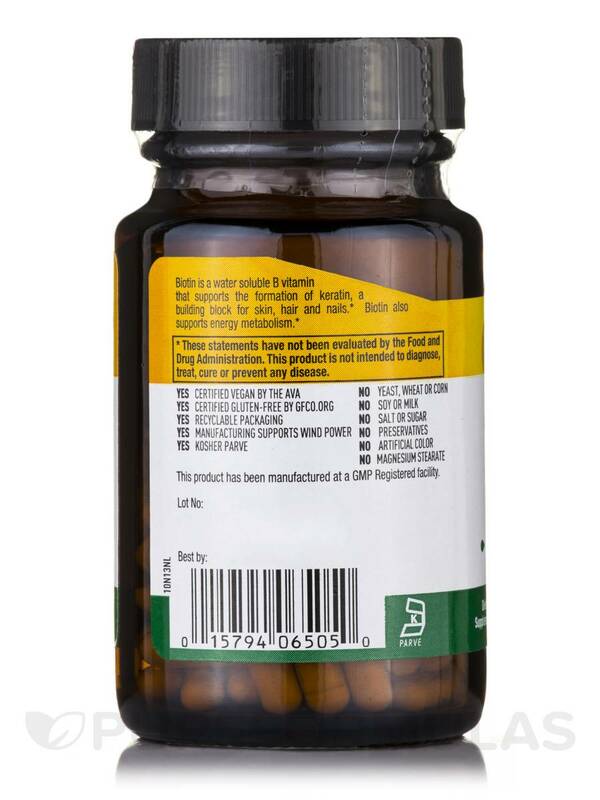 Biotin 5 mg 60 Vegetarian Capsules from Country Life® may help regulate insulin levels in the blood stream‚ and could also enhance skin health. 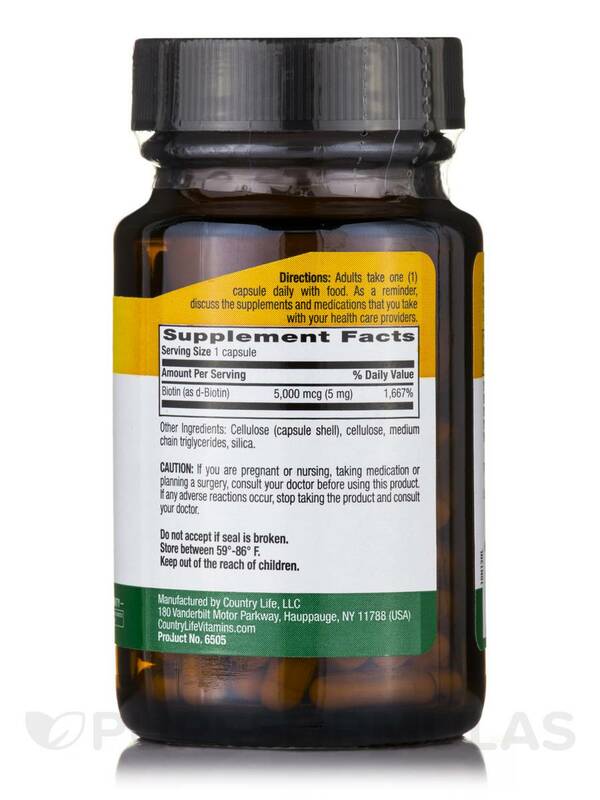 Studies claim that biotin is a B-complex which is commonly found in a variety of food products including soybeans‚ mushrooms‚ and pumpkin and sunflower seeds. However‚ due to rigorous lifestyles and inadequate meal times‚ one may compromise on the consumption of nutrients. An imbalanced diet may lead to deficiencies and chronic health conditions. 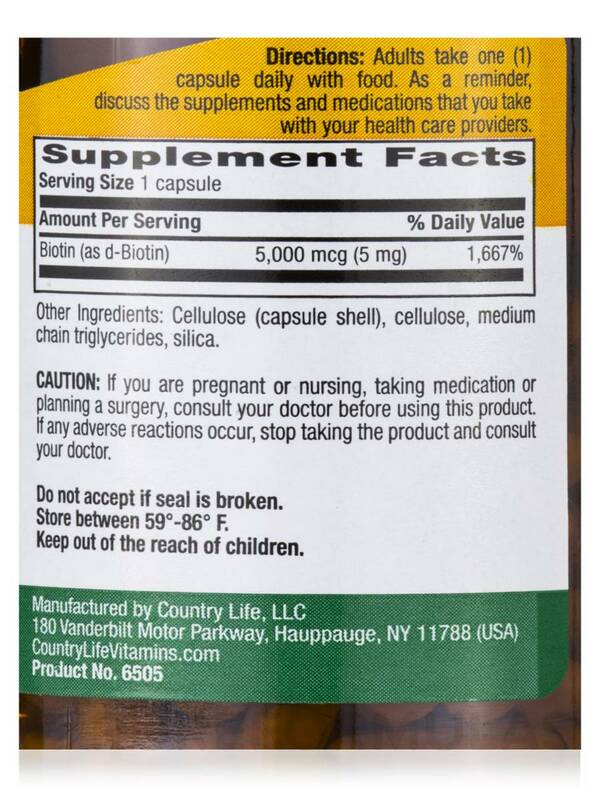 This dietary supplement from Country Life® may help maintain biotin levels in the body‚ which could play a crucial role in the fat and sugar metabolism‚ and skin health. Researchers reveal that biotin-rich foods may be rich in fiber too‚ which could prove beneficial for individuals with blood sugar issues. Reports indicate that low biotin diets could compromise the production of insulin‚ which is a key hormone in the maintenance of blood sugar balance. Adequate levels of insulin may also promote skin‚ hair‚ and nail health. 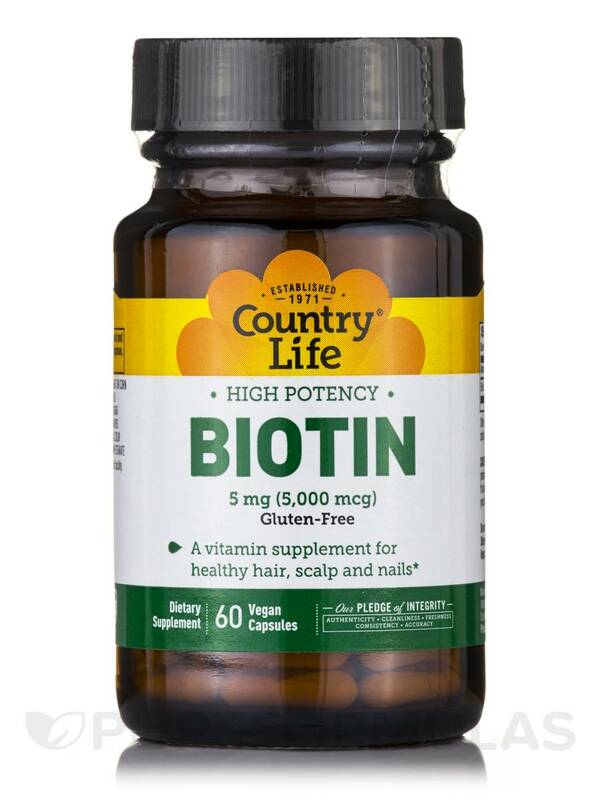 Get Biotin 5 mg 60 Vegetarian Capsules from Country Life® to support overall well-being. 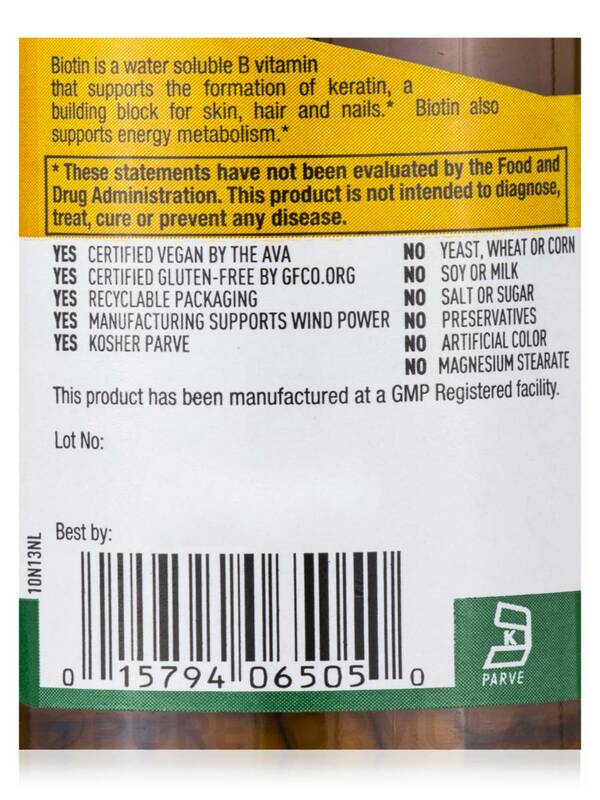 Does Not Contain: Yeast‚ corn‚ wheat‚ soy‚ milk‚ salt‚ sugar‚ preservatives or artificial color. No magnesium stearate. Adults take one (1) capsule daily with food. As a reminder‚ discuss the supplements and medications that you take with your health care providers. High Potency Biotin has helped with nail pitting.